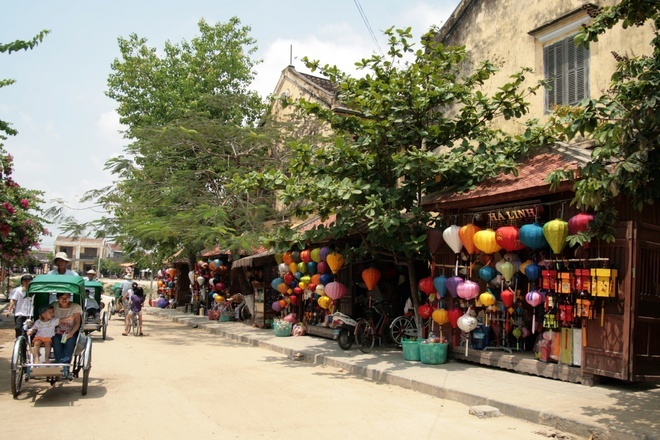 Not matter it is day or night, lanterns hanging in front of houses or small stores highlight the tranquil space of Hoi An ancient town. 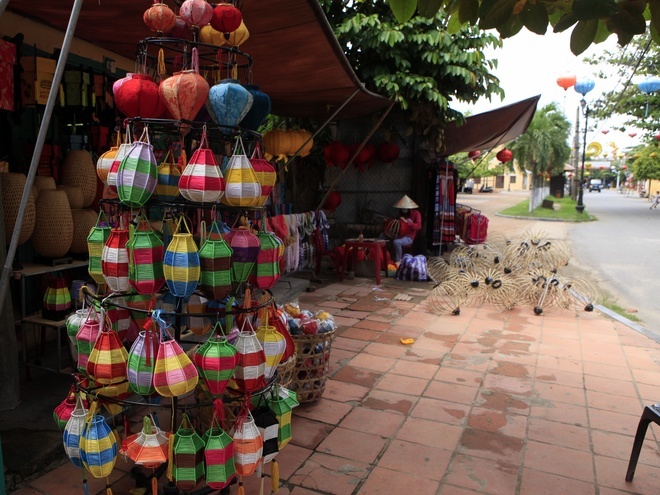 Vietnam-online want to introduce Hoi An lanterns- colorful and peaceful. 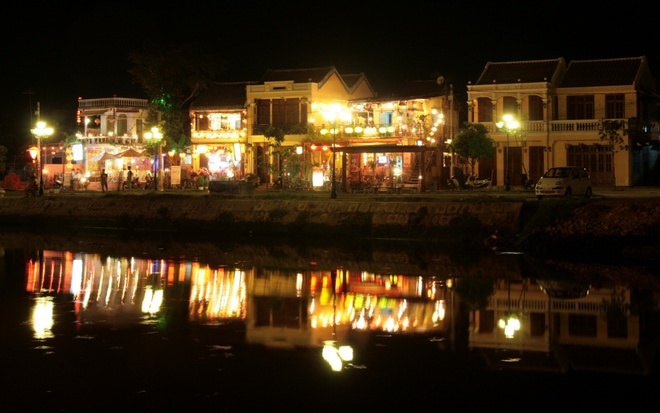 One of interesting things which make tourists love Hoi An is to travel in a tranquil space and walk on romantic lantern streets and contemplating sparkling Hoai river. Main raw materials for a lantern are bamboo and silk fabric. Bamboo which is used to make lamp frames, are thoroughly soaked with salt water from 10 to 15 days to prevent termites. Then, bamboo is dried and cut to fit the size of lamps. The toughness of silk fabrics are not able to be torn when covered on the lantern’s frame. 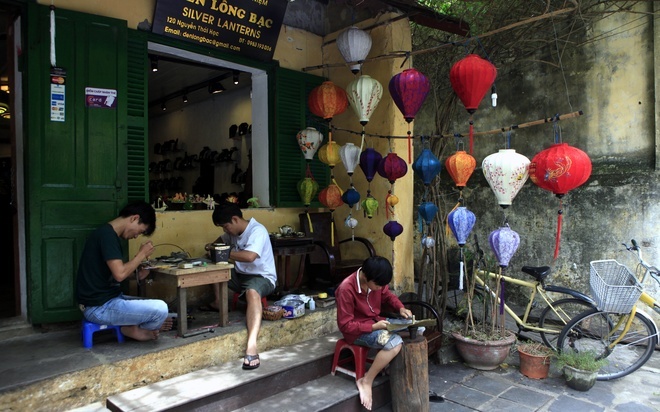 Hoi An people prefer to use Ha Dong silk to wrap lanterns which makes the light more subtle and vivid. 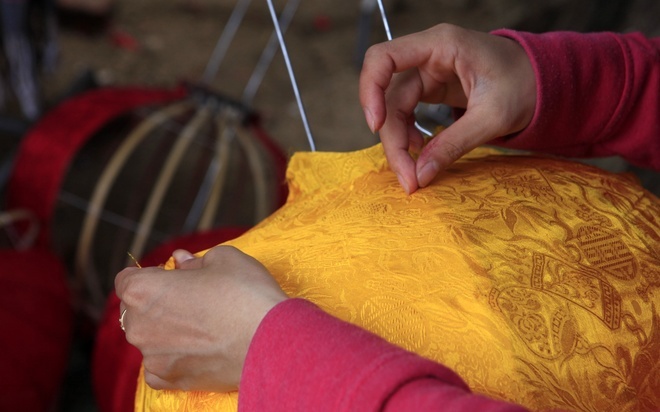 To complete a lantern, people have to put effort on cutting wood, painting or varnish, making tassels, and hangings. 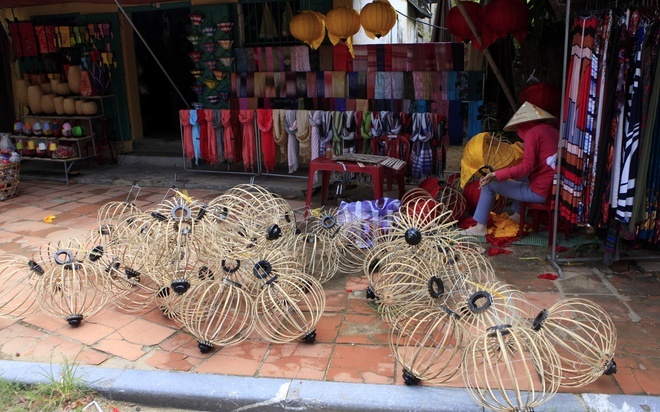 Lanterns are sold everywhere in the streets of Hoi An. You can find them in different colors and different sizes. 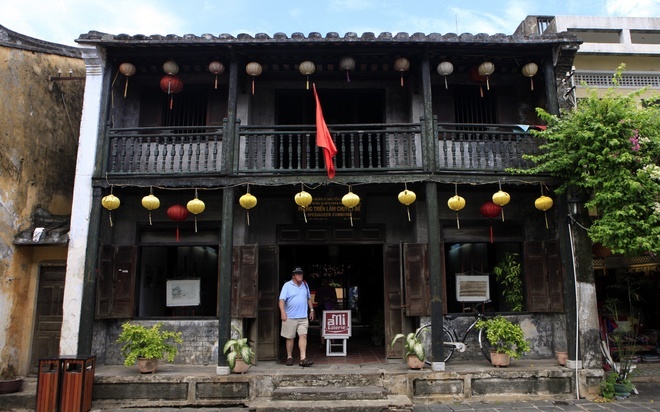 In trade relations with Vietnam in 16th -17th century, many merchants from China, Japan, the Netherlands, India, etc. had contributed to the special culture of trading port of Hoi An. The lantern is the result of interference between these cultures that values and its shape became famous. Created with the purpose of serving the needs of life, lanterns gradually became exquisite through ingenious hands of artisans. 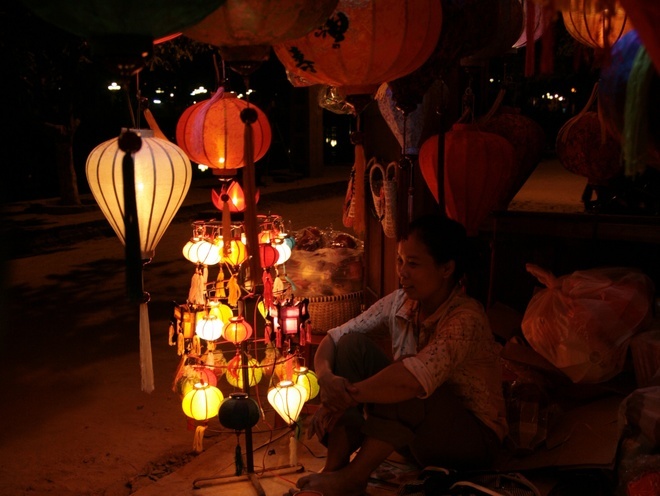 At night, passing Tran Phu street, Chau Thuong Van street, etc., you will be attracted by pretty and glowing lanterns in the darkness. 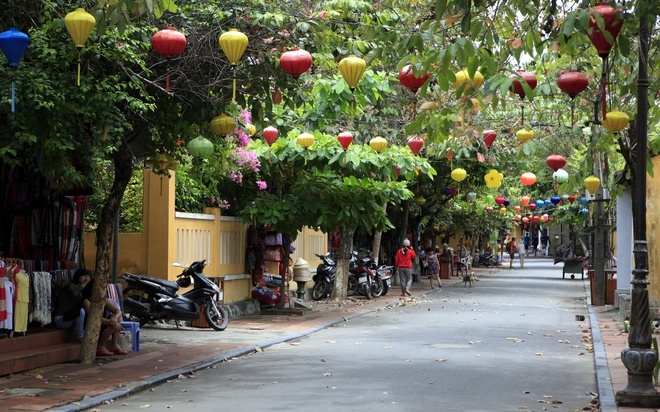 Hoi An is more subtle in a warm yellow from bright lanterns. 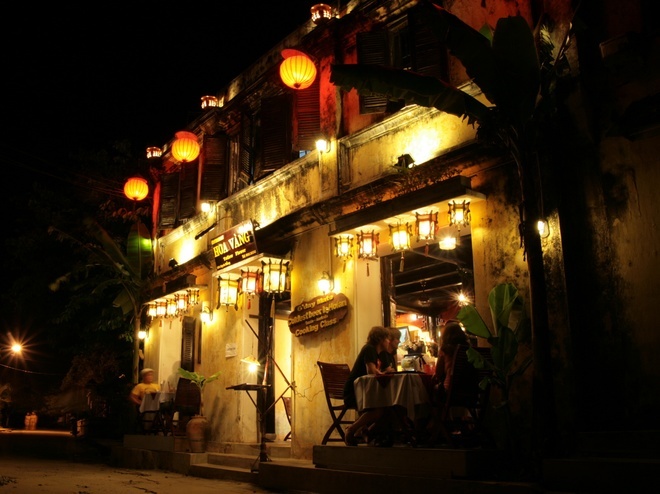 The ancient town often prohibits vehicular traffic from 6pm; hence you can walk slowly and enjoy the nightlife of Hoi An. In the tranquility, lanterns are not only decorative items but also a part of ancient town soul. 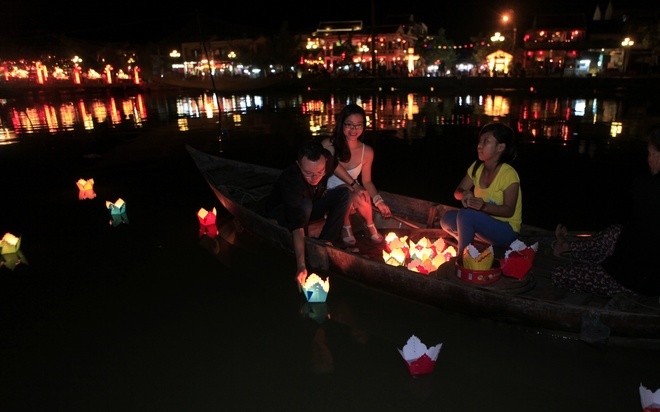 On full moon and 14th of a month, Hoi An organizes lantern festivals. A lot of people come to Hoai river and gently drop small lights on the river and pray for wishes. You can rent a small boat and sail on the river, drop flower lights and watch flickering lanterns.